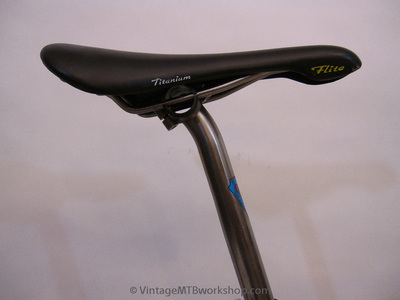 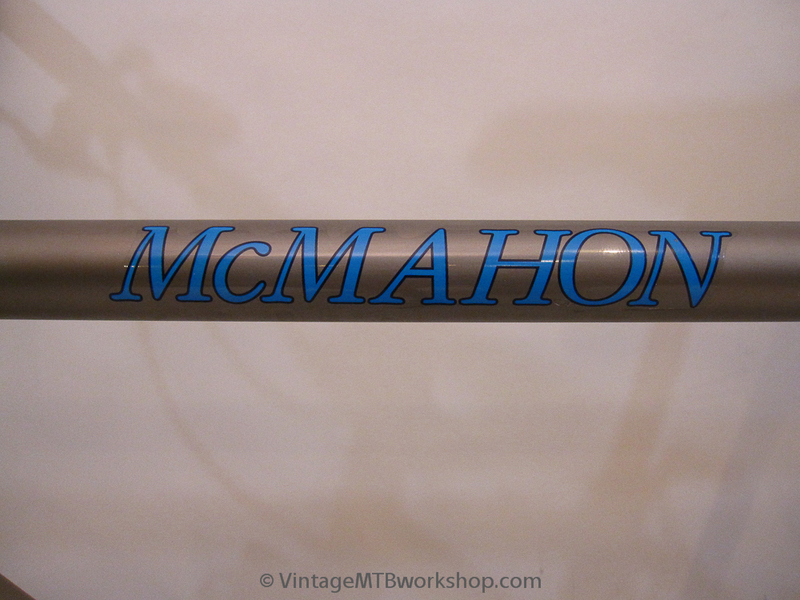 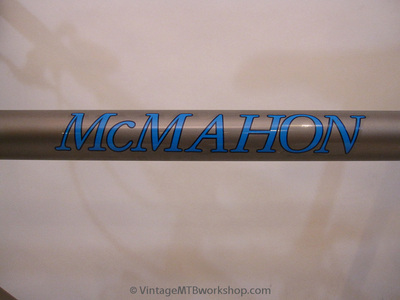 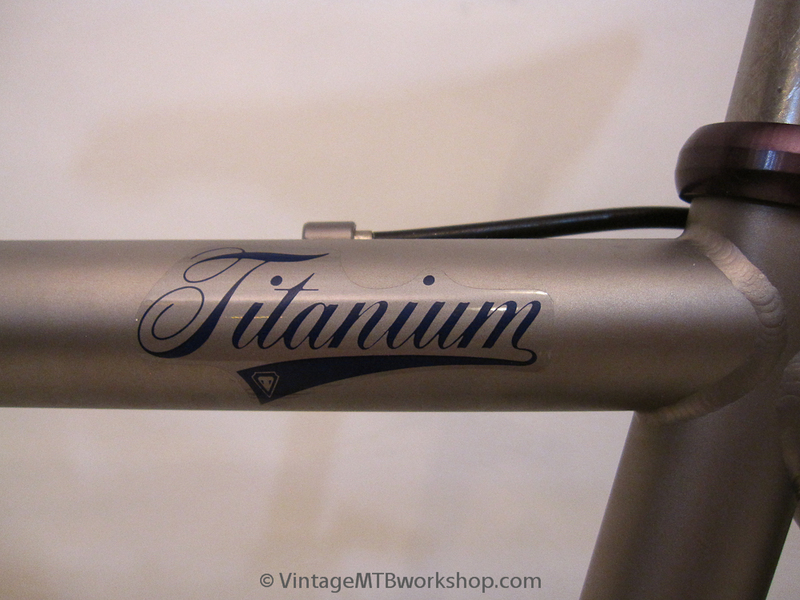 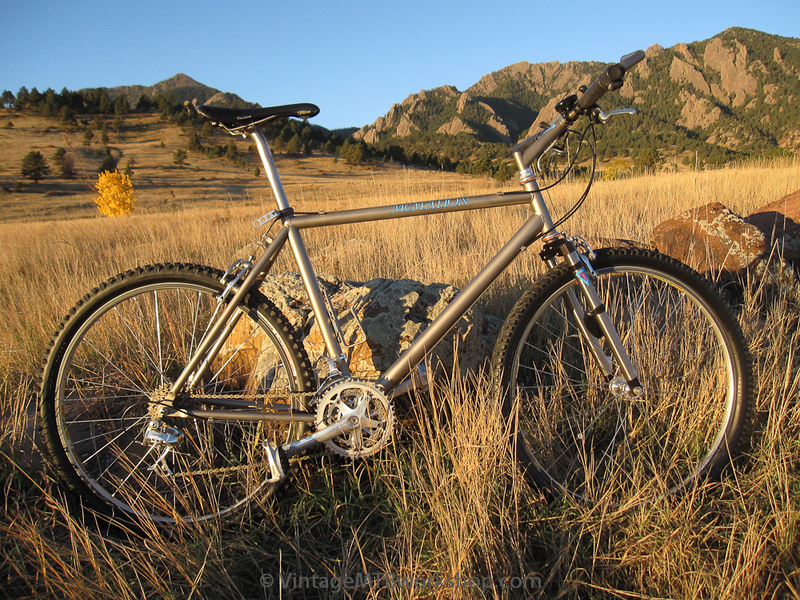 Steve McMahon set about designing the ultimate bike, and became convinced that titanium was the best material for the job. 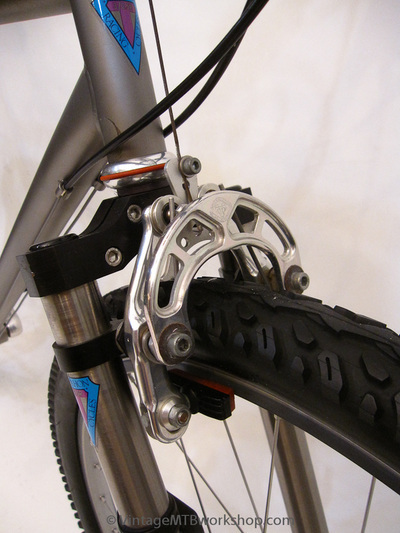 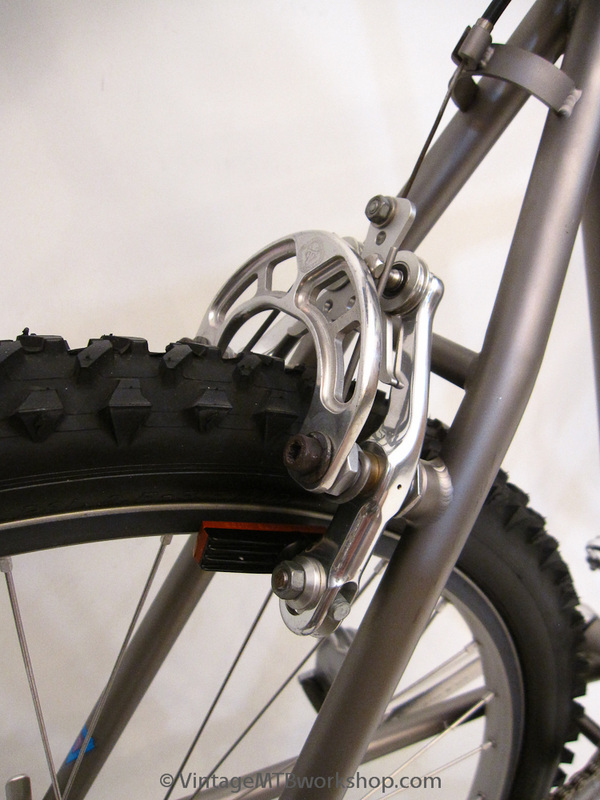 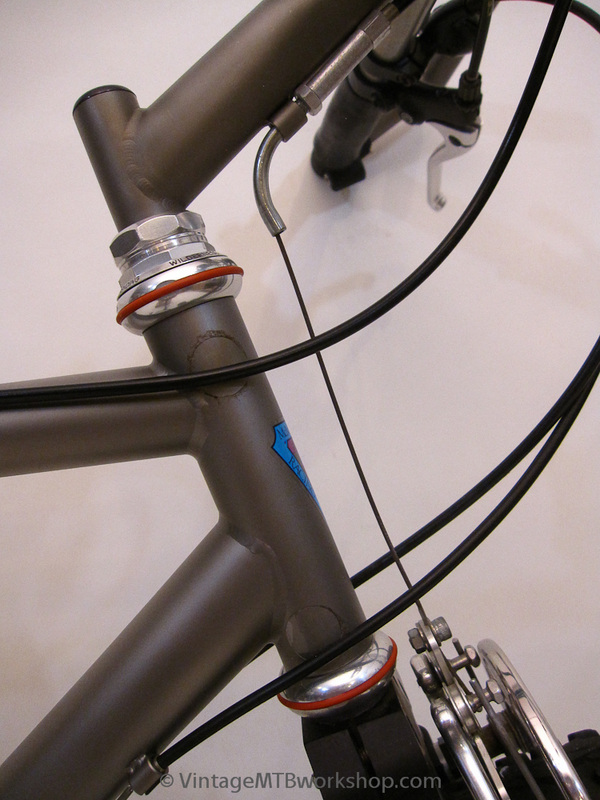 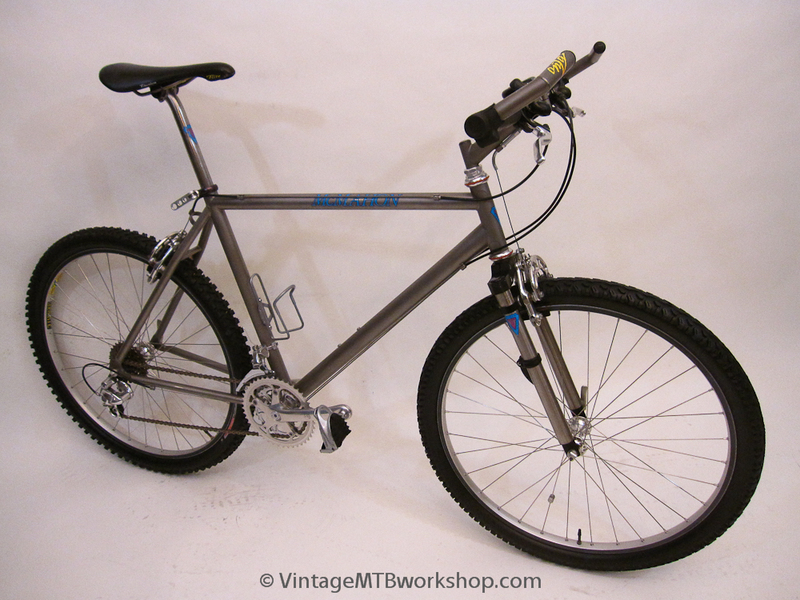 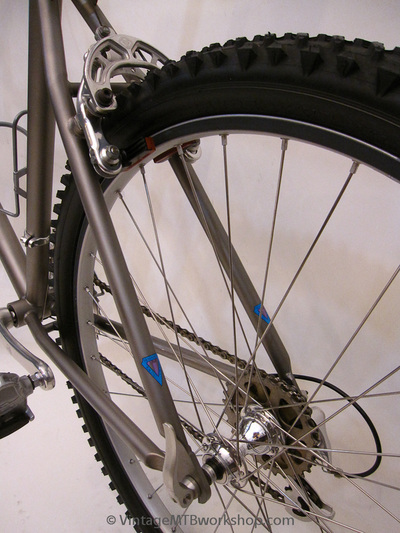 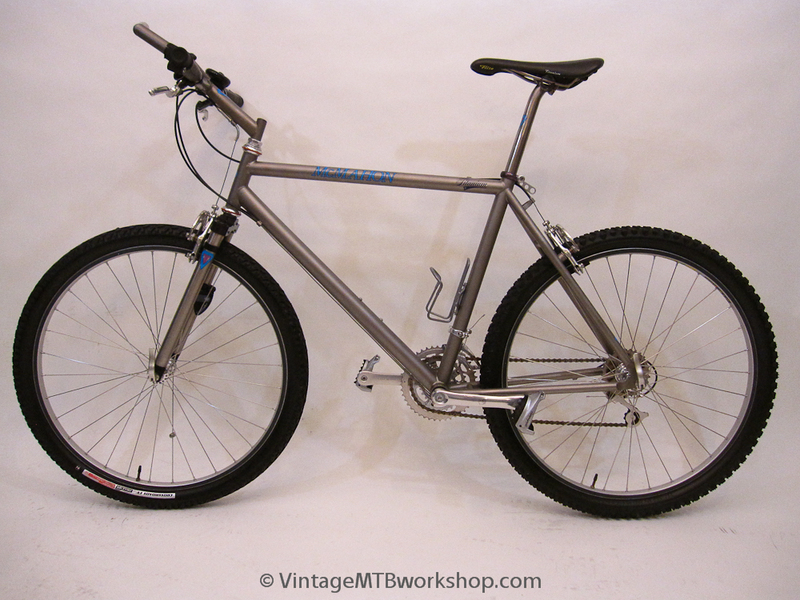 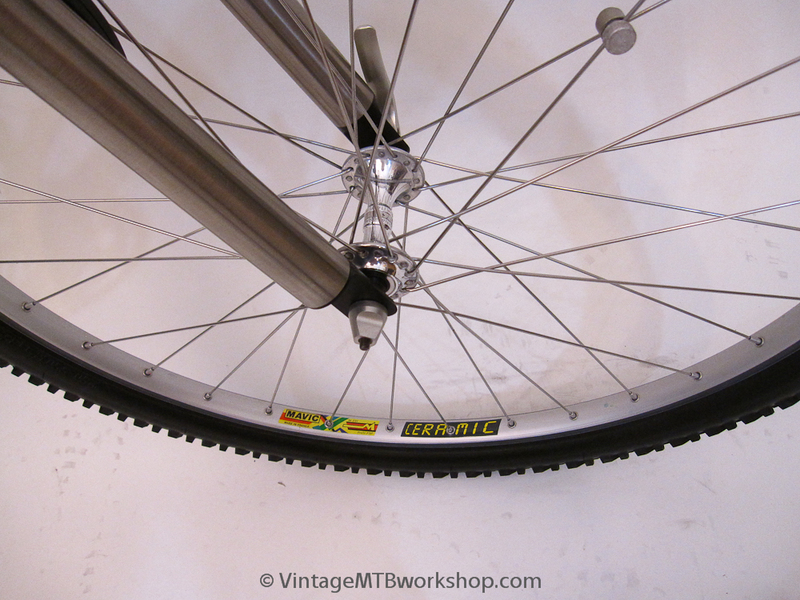 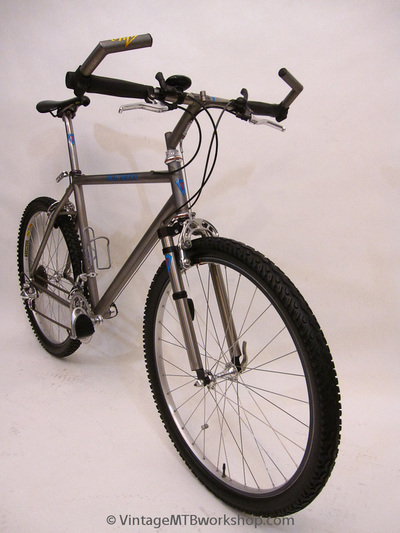 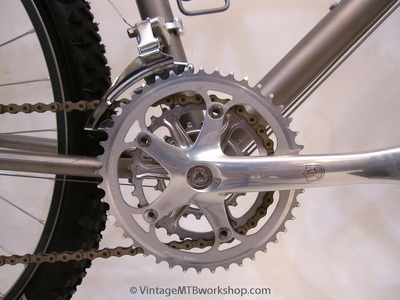 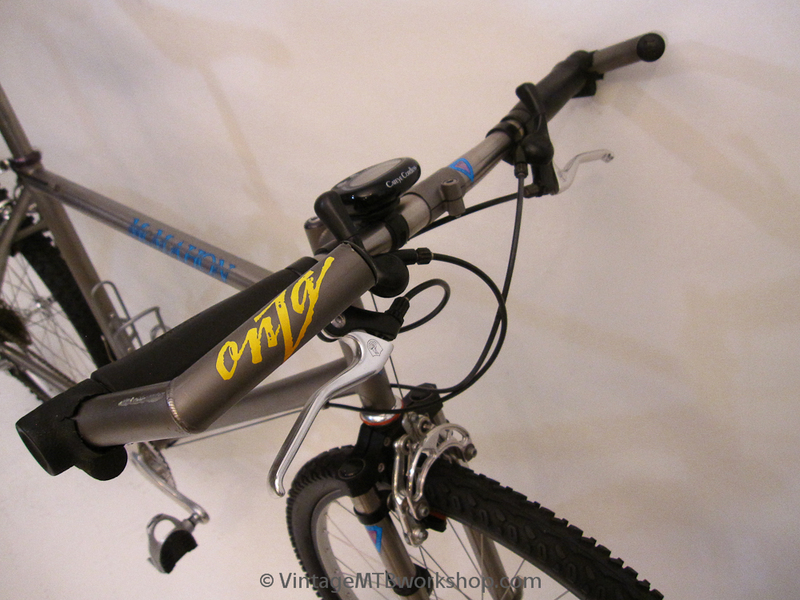 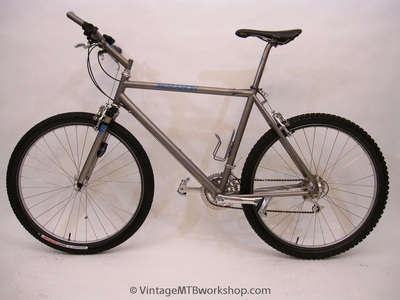 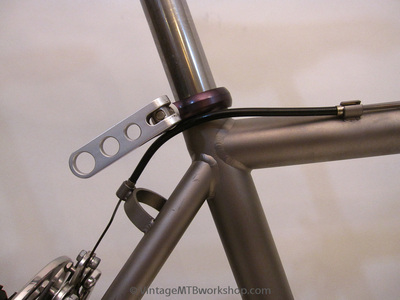 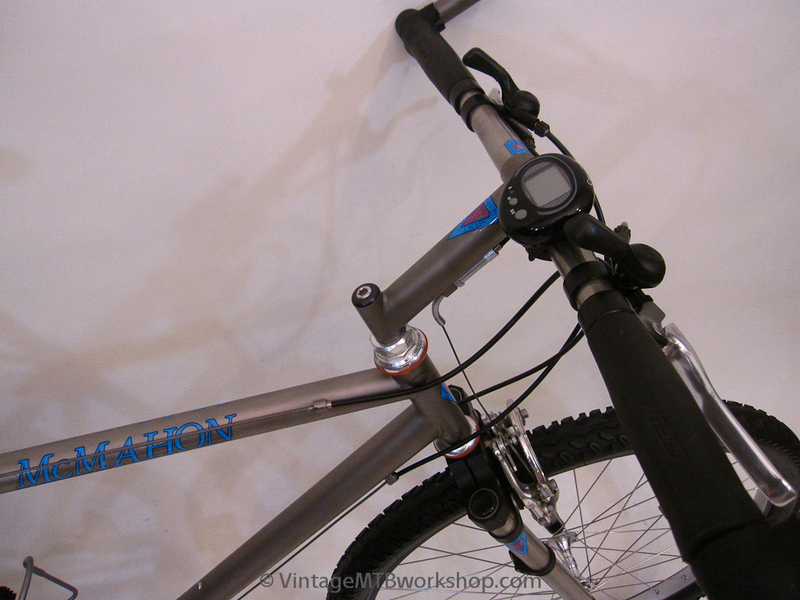 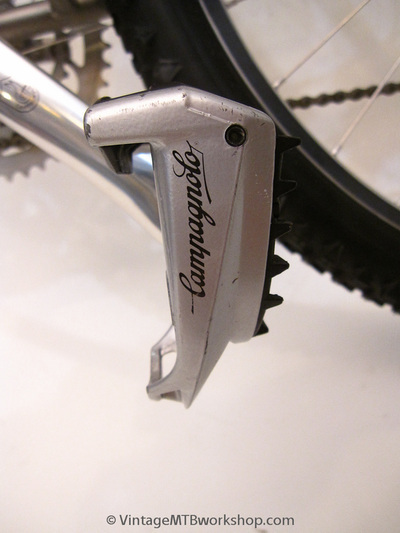 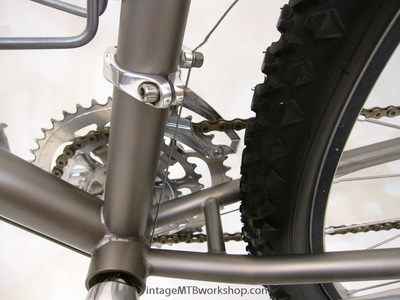 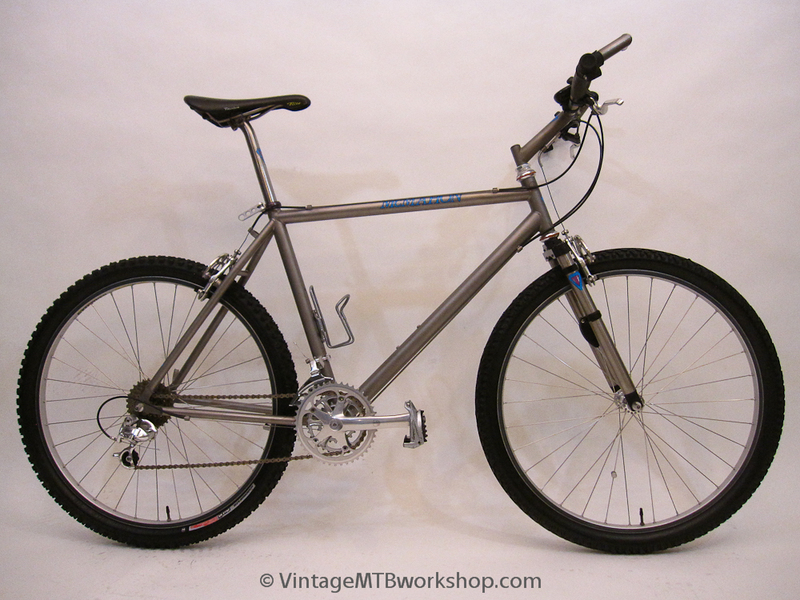 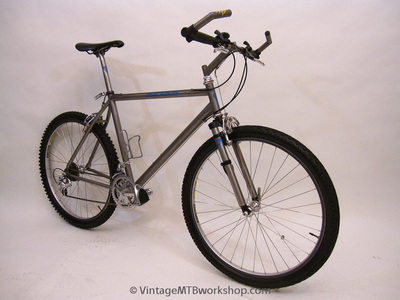 While he also sought to provide nearly a complete bicycle, this particular example instead makes use of premium parts from Wilderness Trail Bikes for the brakes and headset, as well as Campagnolo for the drivetrain. 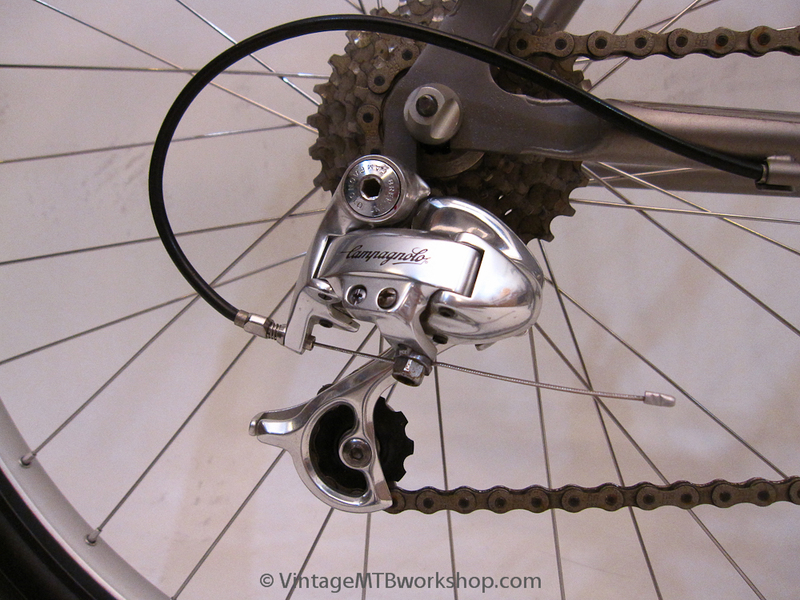 The road-style pedals are made by Look with Campagnolo logos, but feature a gripping surface on the opposite side for more technical riding.